The criteria for a destination to be included in our Quick Getaways Series are; the location must be easily accessible, a nonstop flight not to exceed 3 hours, a selection of superb accommodations and excellent dining options and there must be things to see and do. Last week, we visited Cabo San Lucas. (click here). Today, Stop #2 is Austin, Texas. Above: A panoramic view of the Austin skyline. The eclectic and popular capital of the Lone Star state is a magnet for food, music, festivals and new business. 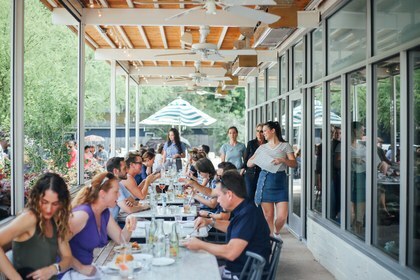 With the surge of tech companies moving in recently, Austin has gotten a rep as being hip, but the city has had a laid-back vibe for as long as most Texans can remember. This remains a place where food truckers get their big break, independent artisans get noticed and garage bands ink their first record deals. Yet Austin’s still very much on the cutting edge and still, thankfully, a little quirky. Do bring your patience. If you’re going to the popular restaurants and hot spots, there will be a line. But we promise, it’ll be worth it. It’s not uncommon to wait hours just for a slice of barbecued brisket or to see a horde of bats swarm out from under the South Congress bridge. So start droppin’ your “g”s and you’ll fit in just fine with the locals. Above: The Little Longhorn Saloon is one of the city’s most popular spots. 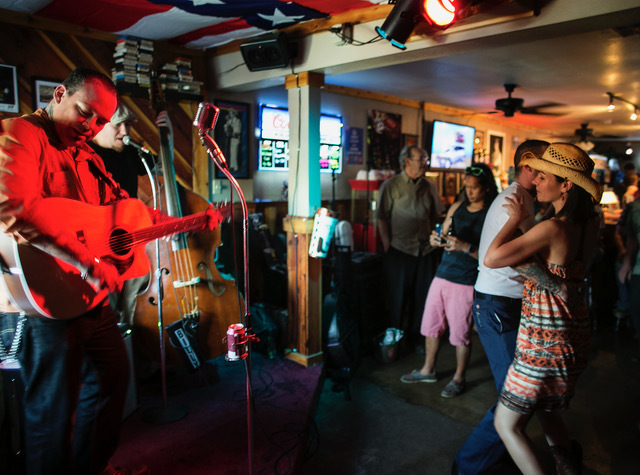 When deciding what things to do in Austin, always start with live music. There’s Moody Theater on Willie Nelson Boulevard. 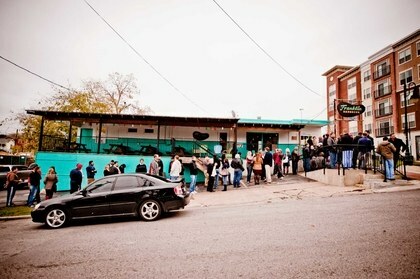 In addition to taping PBS’s Austin City Limits, the intimate venue hosts 100+ touring acts each year. After 55+ years, the Broken Spoke honky-tonk still has soul, with two-stepping lessons and regular country sets from the likes of Grammy Award–winning fiddler Jason Roberts. And some of the city’s best rockabilly and country acts like Alvin Crow and The Derailers play The Little Longhorn Saloon, a small A-frame bar. The city is abundant in outdoor space. Barton Springs Pool, whose perennially 68-degree water is fed by underground springs, is on the grounds of Zilker Park. Hike around the Greenbelt, an 832-acre nature reserve, or jog the trail at Lady Bird Lake. 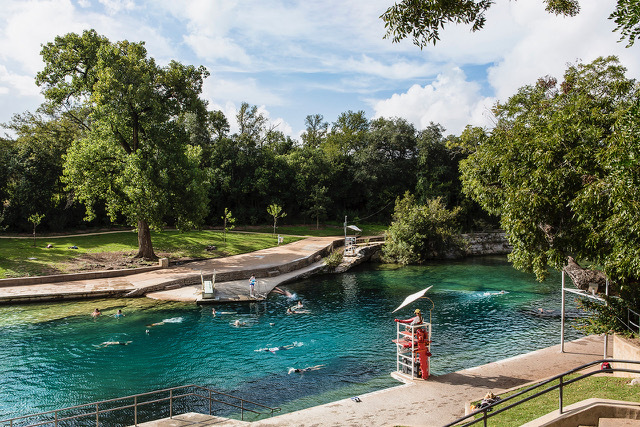 Above: Barton Springs Pool, fed by underground springs, is on the grounds of Zilker Park. Go for a tour and a tasting at Still Austin, a craft bourbon distillery, to learn how their whiskey is made on-site using local grains. Or take in a film at the Alamo – not a historic battle site or rental car agency – but the best movie theater ever. There’s a strict no-talking, no-texting policy and the schedule is a mix of new releases and old favorites. Nor is Austin short on attractions. There’s the LBJ Library and Museum and The Blanton Museum of Art’s permanent collection includes works by Romare Bearden, Mark Rothko and Thomas Hart Benton. If you’re so inclined, take a one-day road trip to the nearby countryside. Fredericksburg, to the west, is where you can get a taste of the Hill Country. And Gruene (pronounced “green,”) to the south, is where floating the Guadalupe River on the weekends is a way of life. Austin offers a wide variety of accommodations. There’s everything from luxurious downtown properties and boutique hotels in eclectic neighborhoods to landmark estates and relaxing retreats just outside of the city. Above: LINE Hotel displays over 500 works by Central Texas artists. Located on the edge of Town Lake, LINE Austin is set inside a modernist mid-century building that has undergone a thoughtful and comprehensive renovation, seamlessly forging the classic with the contemporary. Displayed throughout the hotel are over 500 unique works from Central Texas artists. This downtown oasis boasts a heated, saltwater pool and a reputation for great poolside pampering. Taking a cue from its locale, the public spaces are distinctly Texan. 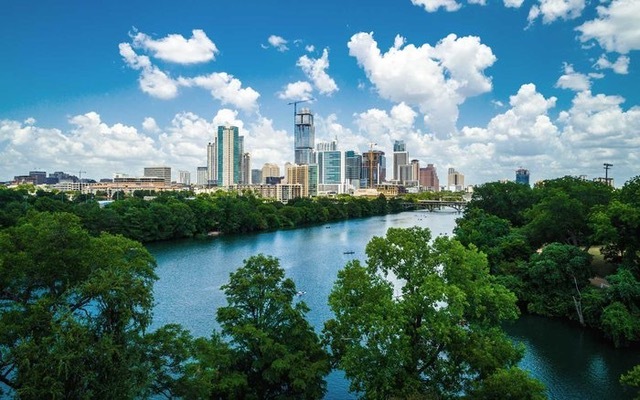 Its prime location offers unobstructed views of Lady Bird Lake and close proximity to downtown businesses and nightlife. 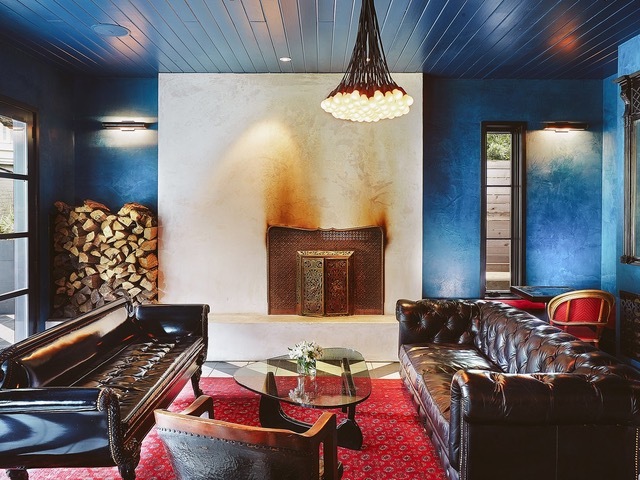 Above: Hotel Saint Cecilia’s vibe and décor is inspired by rock ’n roll. 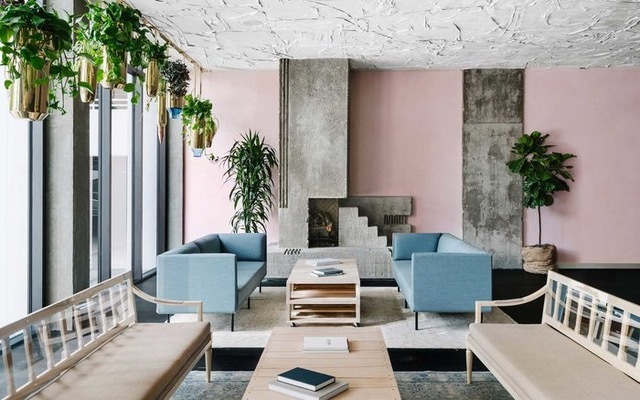 Rock ’n roll is one of the inspirations behind the décor and vibe at this small boutique hotel. You may feel like a rock star yourself at the heated, 24-hour pool. 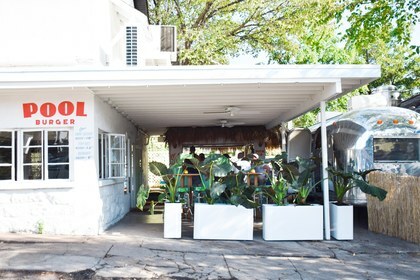 The spot boasts a certain celebrity cachet; recent guests included Pearl Jam, Dave Matthews and the Foo Fighters—the latter of whom recorded their latest EP on-site while they were in town for Austin City Limits. Named after the woman who saw the historic mansion through its original renovation in 1910, Hotel Ella is an elegant Greek revival structure with 47 luxurious rooms. To create the building’s columns, Ella hired the same stone carver that constructed the legendary Biltmore Mansion in Asheville. 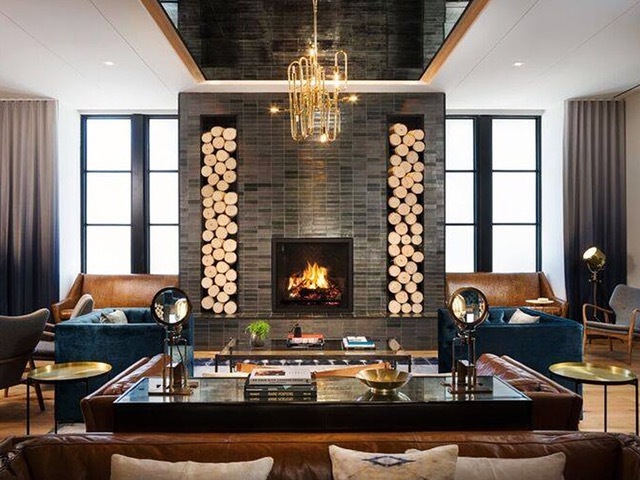 Above: Named for a legendary Austin guitarist, Hotel Van Sandt oozes sophistication. Named for legendary Austin guitarist Townes Van Zandt, this music-focused property is on the edge of Rainey Street. The hotel, oozing Kimpton sophistication, has 319 modern-designed guest rooms and 41 specialty suites with impeccable views. A well-curated music program features live performances nightly. Built in 1886 by cattleman Colonel Jesse Driskill, whose goal was to create a “frontier palace,” the hotel is on the National Register of Historic Places. The rooms and suites feature contemporary artwork and custom furniture. Its Romanesque exterior, with arched entrances and brick and limestone, is a distinctive downtown landmark. The 83 rooms embody a modern and masculine spirit with exposed concrete, brown leather furniture and oversized windows. The real action is in the common spaces, which include three restaurants; the ultra-exclusive Otoko, classic American restaurant Central Standard, and the more casual Café No Sé. Above: Explore the beautiful Texas hill country from Hotel Travaasa. You will never run out of things to do at this all-inclusive resort overlooking Lake Travis. Visitors are immersed in life’s simple, playful pleasures: sunrise horseback rides, Texas two-step dance lessons and a workout on a mechanical bull. 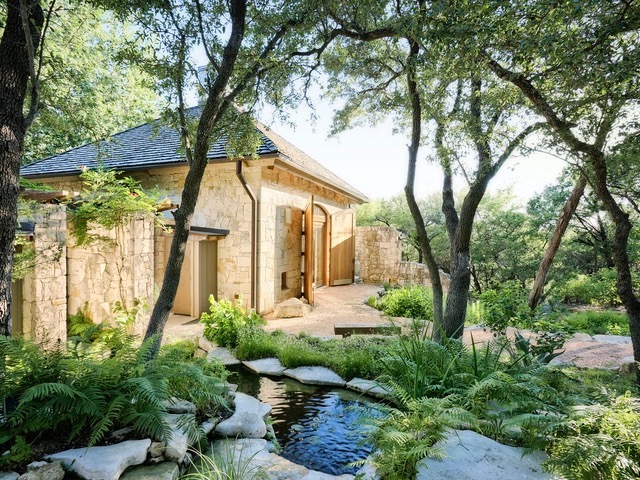 The day spa sits adjacent to the property’s infinity-edge pool overlooking beautiful hill country. Relax and recharge at this sprawling 19-acre waterfront resort. The destination offers fitness, culinary and gardening classes as well as an expansive list of spa treatments. At a minimum cost of $1,800 for a three-day weekend, it’s a splurge, but guests swear it’s worth every penny. Yes, the barbecue is out-of-this-world, but that’s just the beginning. These days, Austin’s fine dining garners as much attention as the tried-and-true classics. Thanks to truly talented and innovative chefs, this city now ranks as a top foodie destination. 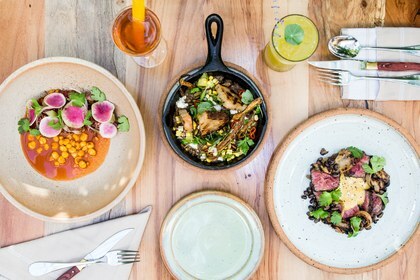 The airy and modern restaurant offers a cocktail menu heavy on Mexican tequila and mezcal-based drinks.The cuisine is based around their house-made masa, using corn sourced from farms in Mexico. Made into fresh tortillas and served with a trio of salsas, it’s a pleasing appetizer. Local ingredients dictate the changing menu. 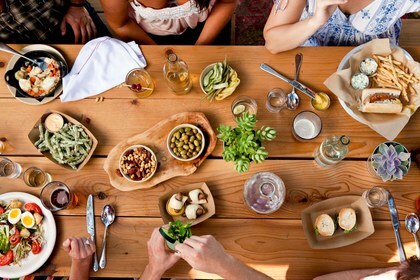 Your fellow diners are foodies to the core, passionate about the farm-to-table movement. Treat yourself to the tasting menu. 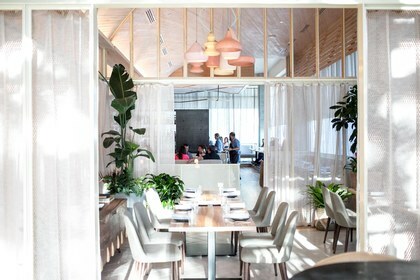 Designed to feel more like a Hill Country ranch than a restaurant, Contigo is just north of much of Austin’s action. The pork chops, steaks and burgers are well worth going out of your way for, as are the seasonal cocktails. At this chic and cozy bistro, Chef Todd Duplechan’s self-styled “hot climate” cuisine traces the links between Texas and other sunbaked regions like Spain and India. Order the prix-fixe menu and you get to select three dishes from the weekly changing Field, Sea, Land and Dream sections. This izakaya-meets-smokehouse is unlike anything else in Austin. 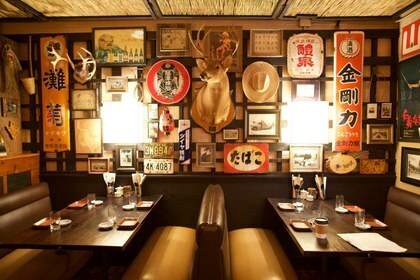 Even the interior is a hybrid of Japanese and Texan aesthetics: austere wood paneling with taxidermy on the walls. The sharable dishes with east-meets-south influences make this menu irresistible. You guessed it, the building once housed a coin-operated laundromat. Now, you can chow down on elevated bar snacks and nationally-acclaimed ice cream sandwiches. And don’t get us started on the burger. This spot is a neighborhood favorite day and night. 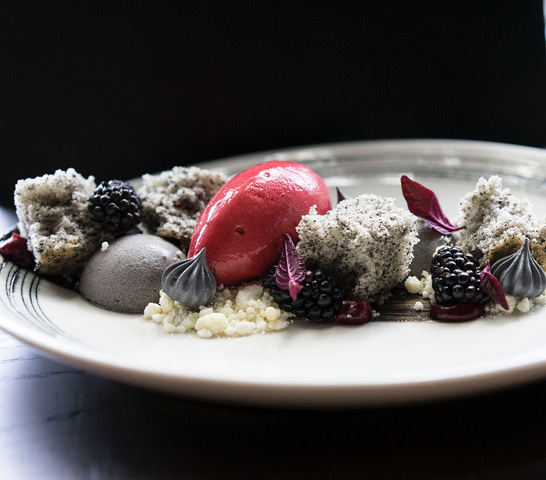 Chef Tyson Cole put Austin’s culinary scene on the national radar when he opened Uchi. No one expected the 30-something from Florida, to become one of America’s most skilled interpreters of Japanese food, a sushi savant as madly inventive as he is versed in the traditional techniques. This restaurant, especially the patio, hums day and night. 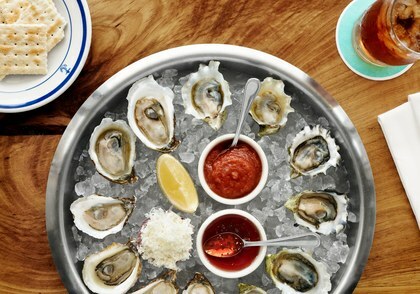 East and West Coast oysters are flown in daily. After oysters, split the angus hamburger topped with gruyère. A heavyweight in Austin’s barbecue scene, Franklin draws lines that are as epic as their world-renowned brisket. Every die-hard barbecue lover must make the pilgrimage to Franklin’s at least once in their meat-eating lives. Pick up a kitschy cocktail and gourmet burger from the Airstream trailer. Patrons choose off the straightforward menu of Wagyu beef burgers on homemade buns. 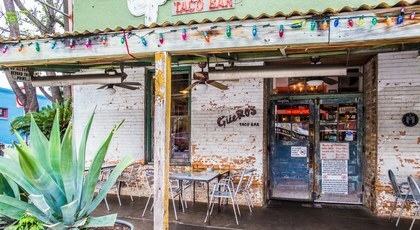 A Tex-Mex institution for years, locals wait more than two hours for a table on weekend nights, passing the time over margaritas and tidbits from the serve-yourself salsa bar. 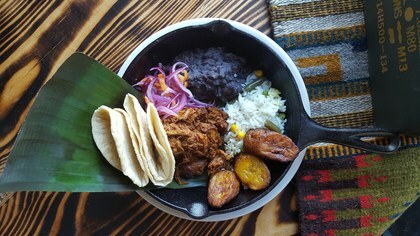 The combo plate, served with a side of refried beans and rice, is the choice for most, with chili con queso to start. It’s no secret Austin has a thing for breakfast tacos, and Veracruz has become a staple for a healthy-yet-filling Tex-Mex breakfast—even if you don’t show up until 2 p.m. The migas tacos is a must, but do everyone in line behind you a favor and have your order ready when you reach the window.